-Co-owner of Queens Park Rangers F.C. Lakshmi Niwas Mittal born 2 September 1950) is an Indian steel magnate. 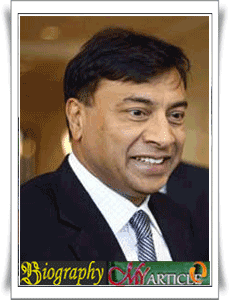 He is the chairman and CEO of ArcelorMittal, the world’s largest steelmaking company. Mittal owns 38% of ArcelorMittal and holds a 34% stake in Queens Park Rangers F.C. In 2007, Mittal was the richest man of Asian descent in the United Kingdom. Despite being the eighth wealthiest man in Britain in 2002, he does not hold British citizenship. He was ranked the sixth richest person in the world by Forbes in 2011, but dropped to 21st place in 2012, due to having lost $10.4 billion the previous year. In spite of the drop, Forbes estimated that he still had a personal wealth of US$16 billion in October 2013. He is also the 47th "most powerful person" of the 70 individuals named in Forbes' "Most Powerful People" list for 2012. His daughter Vanisha Mittal's wedding was the second most expensive in recorded history. Mittal has been a member of the board of directors of Goldman Sachs since 2008, and is also member of the board of directors of the European Aeronautic Defence and Space Company. He sits on the World Steel Association's executive committee, and is a member of the Indian Prime Minister’s Global Advisory Council, the Foreign Investment Council in Kazakhstan, the World Economic Forum’s International Business Council, and the Presidential International Advisory Board of Mozambique. He also sits on the advisory board of Northwestern University's Kellogg School of Management in the United States and is a member of the board of trustees of the Cleveland Clinic. In 2006 The Sunday Times named him "Business Person of 2006", the Financial Times named him "Person of the Year", and Time magazine named him "International Newsmaker of the Year 2006". In 2007, Time magazine included him in their "100 most influential persons in the world". Mittal studied at Shri Daulatram Nopany Vidyalaya from 1957 to 1964. He graduated from St. Xavier's College, Calcutta, with a B.Com degree from the University of Calcutta. His father, Mohan Lal Mittal, ran a steel business, Nippon Denro Ispat. In 1976, due to the curb of steel production by Indian government, the 26 year old Mittal opened his first steel factory PT Ispat Indo in Sidoarjo, East Java, Indonesia. Until the 1990s, the family's main assets in India were a cold-rolling mill for sheet steels in Nagpur and an alloy steels plant near Pune. Today, the family business, including a large integrated steel plant near Mumbai, is run by Pramod and Vinod, but Lakshmi has no connection with it.